Mark Zuckerberg’s pick for his Year of Books in 5 Minutes. "On Immunity." Mark Zuckerberg’s 4th pick for his Year of Books is Eula Biss’s On Immunity. Mark Zuckerberg’s 4th pick for his Year of Books. Eula Biss contributes her thoughts in her book, On Immunity. Here, we’ve pulled out a few must-knows from Biss’s contemplation on the cultural, literary, and scientific history of inoculations and their contemporary implications on society and self. A quick note from us: Our purpose at Blinkist Magazine is to put knowledge from great business books on your radar every day, and we think that part of our job entails keeping you up-to-date with what great minds are reading. Thus, welcome to our third installment of Mark Zuckerberg’s Year of Books. The selections won’t be all work (after all, that’s up to Mark), but they do promise to be inspiring. We hope you’ll like learning what Zuckerberg is reading and that it will help start some great conversations – and expand your social network, too. Until recently, unless you were vacationing somewhere exotic or making preventative health decisions for a new child, immunizations probably weren’t at the top of your mind. In the past year, however, the news has erupted with a flurry of controversy over whether vaccinations are natural or frighteningly synthetic, whether they provide damnation or salvation, and whether or not communities should be required to vaccinate their young. Mark Zuckerberg’s fourth A Year of Books pick by essayist, Guggenheim fellow, professor, and editor Eula Biss explores the construct of the inoculation, both beneath the skin and in the mind’s eye. Biss’s examination is broad and searching, and we certainly recommend reading it all, but here we bring you the newsfeed-worthy version of Zuckerberg’s selection. When immunization debates flash onto the nightly news or you meet your first staunch anti-vaxxer, this’ll help you know where to start. Biss turns an unflinching eye upon society’s boil of worry over medications, vaccinations, the medical establishment, the government, and the fear at the root of them all: the impossibility of complete protection from the world’s ills. With a grace and intellect that’s earned her comparisons to Susan Sontag and Joan Didion, Biss limns the different historical and literary myths and metaphors that influence how we think about inoculations. She addresses today’s anti-vax debate and delves into the factors fueling it through scientific evidence and statistics, but also weaves in the personal perspective of a new mother making the choice: to vax, or not to vax? Eula Biss is an acclaimed essayist who has earned fellowships from the National Endowment of Arts and the Guggenheim Foundation. She’s won numerous awards for her work, including the National Book Critics Award for Nonfiction. Biss teaches at Northwestern University and is founder of Essay Press. Some anti-vaxxers see vaccines as unnatural, or as pollutants. They hold that naturally-contracted infections that stimulate the body’s immune response are a more biologically sound form of immunization. Other people choose to avoid certain vaccinations out of preservation of social identity. They might not wish to be tied to minority groups associated with the disease, or because they believe preventive measures aren’t applicable to privileged groups. And of course, the newest fear (the one you’re likely to hear in the news) is that parents worry that vaccinations cause autism or neurological damage. This is based on the knowledge that vaccinations contain substances, like mercury and aluminum, that are known in large amounts to damage the nervous system. In her book, Biss offers up plenty of literary examples – Candide to Dracula – of fears surrounding prevention, but here’s one you probably already know: the myth of the goddess Thetis and her son. When it was prophesied that Thetis’s boy, Achilles, would die young, she took swift action by dipping the infant into the river Styx to make him invulnerable. Great plan – except for the fact that Thetis gripped her son by the ankles for his dunking, which kept him from being thoroughly protected. The downfall of the seemingly unstoppable Achilles was an arrow straight to the heel, and Thetis’s well-intentioned prevention was for naught. People who are vaccinated are highly unlikely to spread a virus. If enough people in a community decide to vaccinate, all of them – both vaccinated and unvaccinated – are shielded against the virus. This phenomenon is known as herd immunity, and it’s more important than you might realize. 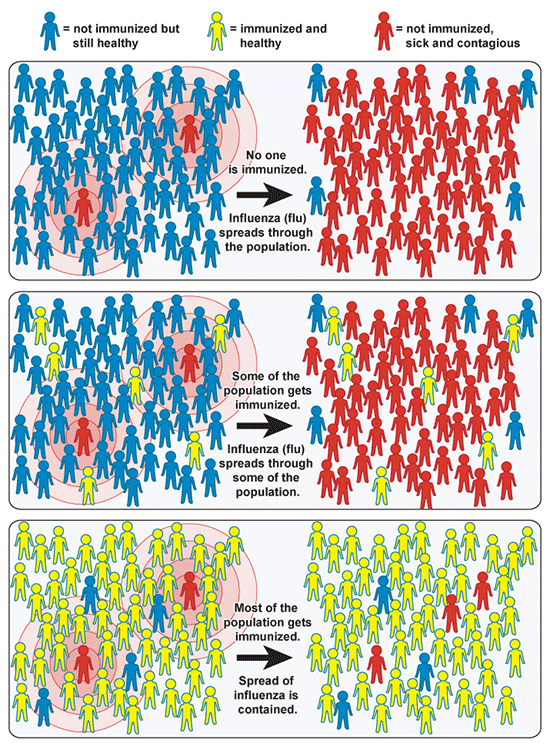 Because vaccinations don’t provide absolute protection, a vaccinated person in an unvaccinated community may be more at risk to become ill than an unvaccinated person in a vaccinated herd-immunity-having community. Also protected by herd immunity are those who can’t be vaccinated, like cancer patients on immunosuppressants and young babies. These people are only safe if those who have the option to choose are vaccinated and ensure that their children are immunized as well. Unvaccinated children are more likely to be white and to live in a household with an income of $75,000 or more. Fear of immunological processes is built into the way we talk about immunization. Despite the fact that it is a medical procedure designed to promote healing and wellness, the words we use to talk about immunization allude to violence. Anthropologist Emily Martin conducted research on the topic of violent language’s place in discussions about immunity and discovered that both laypeople and experts were prone to use warlike language. In American English, we use the word “shot” to describe an immunization, while Brits use the equally martial “jab.” Books on the immune system also deploy warlike metaphors, referring to immune cells as “infantry” and “armored units,” or liken the body’s immune response to the detonation of a bomb. Look at the facts and you’ll find that the risks of most infections vastly override the moderate risks of vaccination. Take measles: in its case, the disease itself is far riskier than vaccinations. Even when we discard other serious consequences, measles leads to encephalitis (inflammation of the brain) in around one in every 1,000 cases. However, encephalitis occurring immediately after a measles-mumps-rubella-vaccination is reported just once in every 3 million vaccinated people. This same vaccine also helps defend against mumps, which can lead to inflammation in the testes and lead to male infertility. 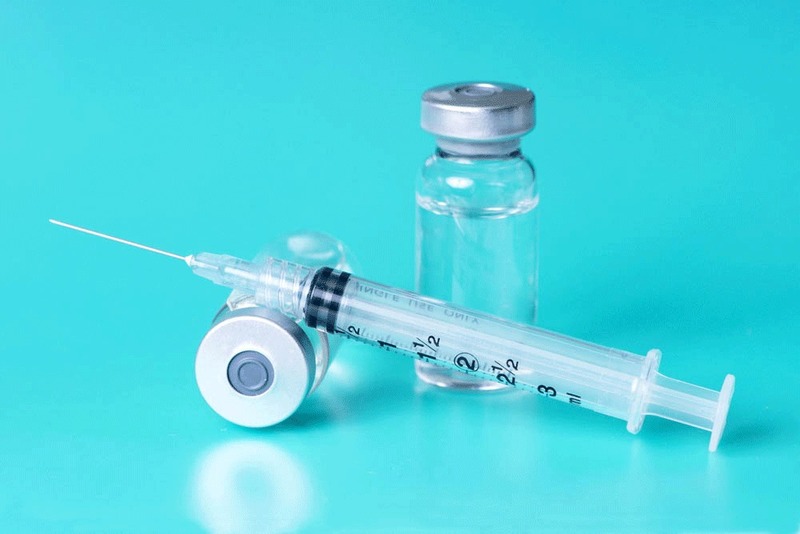 The measles vaccine also helps prevent rubella, an infection known to cause fetal death and serious malformations if a pregnant mother is affected. All in all, the panoply of maladies one might suffer without the vaccination is much greater (and a good deal more lethal) than the negative outcomes that could be attendant on an injection. Needles might make you queasy, but On Immunity covers much more than the gore. Get Biss’s book in full or read the 16-minute summary of the book’s most critical insights on Blinkist – free.